Actually, while I'm at it, I have to find new homes for a lot of my work as it's slowly taking over the house! Ask and we can haggle! 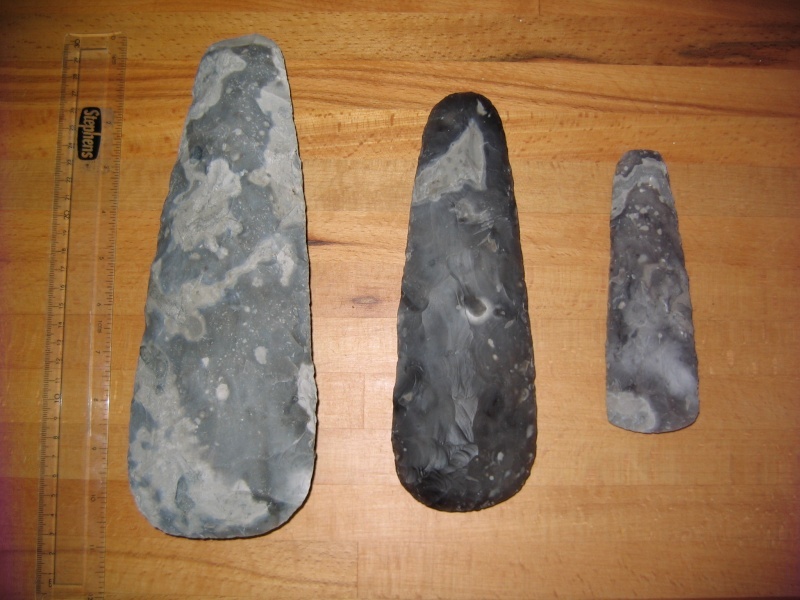 have you knapped a nice replica axe head? how are the flakes I sent you going? to bwe honest i havnt had much time to knap but i am now finding a bit more time with the nights drawing out so hope to post some pics soon, i did try one bit and it knapped ok until i snapped it - lol. 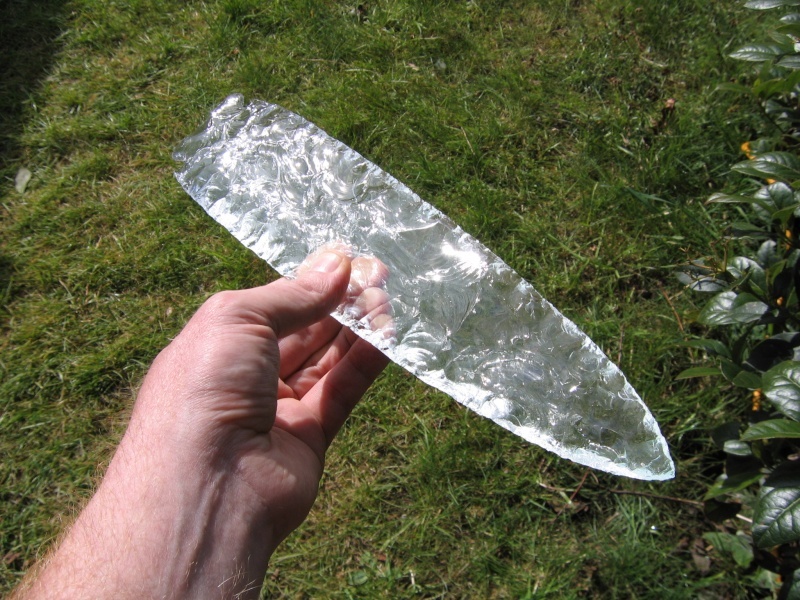 Sad times, I had the same thing happen to me tonight, a nice long thin flake trimmed around the edges, I had a long pressure flaked willow leaf point in mind, and was trying to knap out the slight bend in the flake and ended up with two halves. grr... 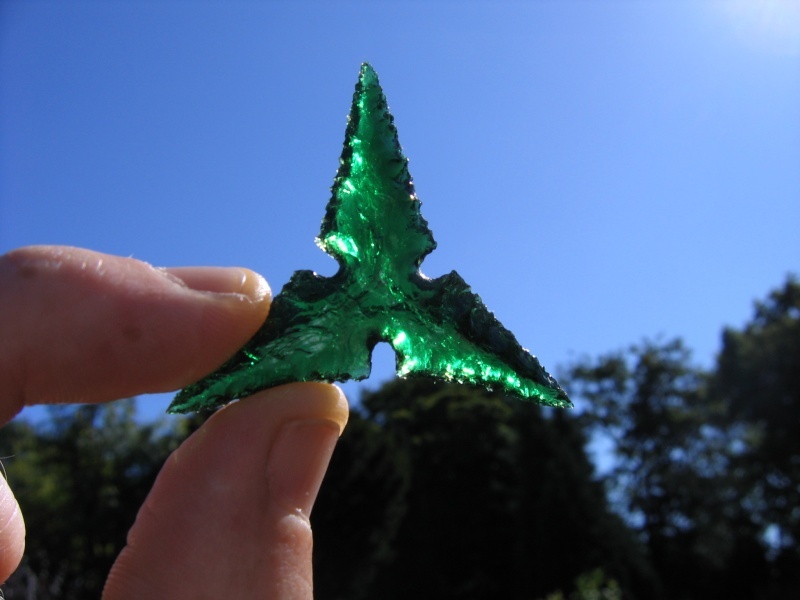 I managed a small barbed and tanged arrow head out of the larger half but it took some serious strategy to get there! I was reading an article about sites like flintknappers.com, apparently the market in the US is about 6 million pieces per year sold by knappers. Here in the UK it's must be about 6. Working out where and how best to sell stuff would amazing, but I can't think of one. 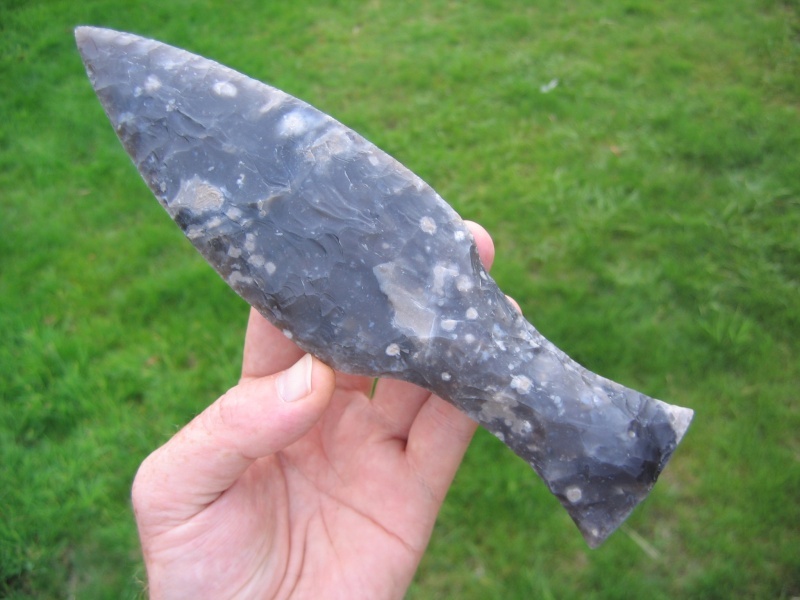 How do things sell at the knapping demos you give? Hmmm... Depends on the crowd, I'm new to this selling lark but the best day was an opening day at an archaeological dig, the worst was at a metal detecting show, they do like thier metalwork more than the lithics it seems. At the knapping demos though I'm not allowed to sell as I'm being paid for the show. Hurrumph. The axes of evil! Hur hur... I'll get my coat. Grendel, What we need is Flintknappers.com.uk where we can all sell in one place, and ruthlessly plug the site in blogs etc. That would work possibly. Hmmm. Pulling your resources would probibly work better, and any knapping displays should have a good supply of business cards and leaflets lying close to hand. I've always thought that a flint filled display box would have a bigger market than a flint just by itself. But it's getting or making the display box at an acceptable price. Good point, like flint knife blades should have a handle! Unless the buyer wants to do that themselves. Mr. Grendel has some sets of arrowheads all cased up, and they look good. do you have a black axe for sale?